Pardon us for being late with this report, but we were up until 2:30 a.m. covering and writing up a Montclair Township Council meeting. Duty called. While we still in bed sleeping this morning, HSN reported that its net sales increased 1 percent, to $526.2 million, following comparable sales growth the prior year of 9 percent. Not exactly a great first quarter, it seems to us. The sales growth, such as it was, was driven by electronics and fashion, partially offset by lower sales in fitness and housewares. HSN.com sales increased 7 percent over the prior year’s increase of 15 percent and represent 33.2 percent of HSN’s net sales, up from 31.6 percent in the prior year. Average price point and units shipped increased 4 percent and 1 percent, respectively. “The return rate increased 250 basis points primarily due to higher than anticipated returns of certain electronics sold in the fourth quarter of 2010 and changes in product mix,” HSN said. HSN’s gross profit increased 3 percent to $177.2 million. The increase was primarily attributable to decreased shipping costs due to a new outbound shipping contract. Adjusted EBITDA increased 4 percent to $52.2 million compared to $50.3 million in the prior year. The increase was due to the 3 percent increase in gross profit, partially offset by a 3 percent increase in operating expenses, excluding non-cash charges. Operating income was $40.8 million versus $39.3 million in the year-ago period. “Our focus on maximizing performance through innovative product launches and events, strategic partnerships and increased digital efforts led to HSNi sales growth of 6 percent, e-commerce sales penetration of 40 percent and an Adjusted EPS gain of 14 percent,” HSN CEO Mindy Grossman said in a canned statement. “We are committed to positioning our business for long-term success by delivering on our strategy of offering unique products and experiences, deepening customer engagement and accelerating e-commerce growth across the portfolio,” she said. Mmmmmm….no glowing words specifically about HSN, the home-shopping network piece of the business. We’ll try to catch a replay of the conference call later. We’re behind here, but check out our former colleague Mike Farrell’s very well-done profile of HSN CEO Mindy Grossman. You’ll recognize the head shot. Grossman is one of the Multlchannel News “Wonder Women” this year. We worked at Multichannel, a cable-TV trade paper, for 16 years before being downsized. But we did write two Wonder Woman profiles this year, on Lori Conkling of A&E Television Networks and Christina Miller of Turner Sports and Cartoon Network Enterprises. HSN CEO Mindy Grossman will participate in the Lazard Capital Markets Technology and Media Conference in Boston on March 14 at 11:30 a.m.
HSN chief financial officer Judy Schmeling will participate in the ROTH Capital Partners 23rd Annual OC Growth Stock Conference in Laguna Niguel, Calif., on March 16 at 9:30 a.m. The format of both sessions will be a “Fireside Chat,” according to HSN’s press release. That’s a new one on us. If you want to hear a live broadcast of both presentations, you can visit the investor relations section of HSN’s website at http://www.hsni.com. For those unable to participate, an archived broadcast will be available shortly following the presentation. HSN and DKNYC are teaming up on a “Fatigues to Fabulous” initiative, by launching a watch that features traditional dog tag imagery, the home shopping network said Tuesday. “Fatigues to Fabulous,” or F2F, aims to raise public “awareness of the contributions of women soldiers and the physical, emotional and psychological challenges uniquely faced by women transitioning home from war,” according to the press release. It’s an effort being spearhaded by Grace After Fire and the Society for Women’s Health Research (SWHR). The DKNYC watch will be available exclusively at HSN and HSN.com this summer. Customers can sign up for updates on the watch at http://bit.ly/hsn-fatigues-to-fab and visit http://www.fatiguestofabulous.com for campaign details. For each watch sold, “HSN Cares” and DKNYC will donate a portion of the proceeds to Fatigues to Fabulous. “HSN Cares,” HSN’s charitable campaign, is devoted to helping women and families by raising awareness and funds for trusted organizations. More than 1.8 million women have taken up the call to serve. F2F is designed to raise awareness of the contributions veteran women are making in the protection of our nation, and the challenges they face upon return. Among them, having spent their service years in uniform, the emotional challenges of re-uniting with their more feminine side can be daunting. The campaign is working with the fashion industry to help women make the transition to a civilian wardrobe, raise awareness of the challenges they face, and harness resources to support them. “The resources currently available to veteran women are simply not yet fully designed for the needs of the 25-year-old young mother who has returned from a year away on active duty,” said Olson noting that the average age of a female veteran is 48, and the age of the most recently discharged just 30. Women currently make up 20 percent of the new recruits to the military, and female veterans have become the fastest growing sector of Veteran Administration (VA) patients. Yet, only 14 percent of women veterans access VA healthcare. The SWHR has testified before Congress to draw attention to the growing needs for better health resources and outcomes for women veterans. 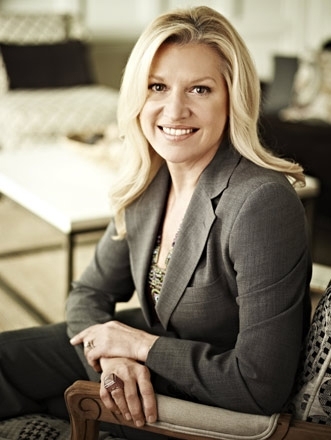 HSN Tuesday appointed Jill Braff executive vice president of digital commerce, effective Feb. 7. Braff will report directly to HSN CEO Mindy Grossman. In her new position, Braff will oversee HSN’s existing e-commerce, mobile and social media platforms. In addition, she will manage the development and implementation of new multi-platform initiatives. HSN’s e-commerce, digital marketing, merchandising and advanced services teams will report to Braff. Prior to joining HSN, Braff was CEO and president of Scrapblog, a photo social-media website with more than 2.5 million registered users. Previously, she spent six years as the senior vice president of global publishing for Glu Mobile (GLUU), a leading mobile game publisher. She has also held positions at Ancestry.com, The Learning Company/Mattel Interactive, Sega of America and Nintendo of America. Braff has received several awards and accolades throughout her career, including Top 10 Women in Wireless by Fierce Wireless (2009), Top 50 Women in Mobile Content by Mobile Entertainment (2009) and 40 Most Influential People Under 40 in Silicon Valley by Silicon Valley Business Journal (2007). She holds a Bachelor of Arts Degree in English from Colgate University. HSN will release its fourth quarter and fiscal 2010 results Feb. 23, the home shopping network said Monday. HSN CEO Mindy Grossman and Judy Schmeling, executive vice president and chief financial officer, will hold a conference call at 9 a.m. to review these results. There will also be a simultaneous audio webcast available via the company’s website at http://www.hsni.com. A replay of the conference call can be accessed until March 9 by dialing 800-642-1687 or 706-645-9291, plus the passcode 38796288 and will also be hosted on the company’s website for a limited time. HSN is partnering with Quirky to showcase innovative products created by the collaborative efforts of the Quirky online community, the home shopping network said Tuesday. Raise your hand if you’ve heard of Quirky. You know more than the Homeshoppingista then (what else is new?). Quirky’s founder and CEO Ben Kaufman will feature Quirky’s products on HSN Jan. 29 and 30, and monthly thereafter. Quirky, which launched in June 2009, brings two new consumer products to market each week, “by enabling a fluid conversation between a global community and Quirky’s expert product design staff,” the press release says. WTF? Here is Kaufman’s explanation about how, and why, he started his company. Kaufman is “pumped,” just like any self-respecting, casually clad Web executive would be. Kaufman loves the word “pumped”: He uses it in both his video and in the HSN/Quirky press release. Kaufman is some salesman. He convinced his parents to re-mortgage their house and lend him $185,000 to start his company. Ida and Jim would never have gone for that one from us. Quirky’s high-powered talent agency/manager, Brillstein Entertainment Partners, even got its two cents in, if you can beleive it. Yes, the ol’ Internet/TV mind meld! All products appearing on HSN have gone through Quirky’s rigorous community evaluation process where inventors and critics alike take product ideas from concept to completion. HSN is offering all would-be entrepreneurs the opportunity to submit their product ideas for consideration on hsn.com’s product submission page. Quirky, a social product development company founded in June 2009, makes invention accessible by partnering with creative people around the world to bring new products to life. Each week, Quirky engages its online community to collaborate in all aspects of product design and development – from ideation all the way to packaging. Quirky brings two brand new consumer products to market every week and shares the revenue with all of the individuals who were influential in bringing these products to life. You are currently browsing the archives for the Mindy Grossman category.